Exports from the economic point of view is the export of goods abroad for sale and other tasks. In fact, this trade process between the two countries and their residents. Exports, as a general concept is an essential component and the characteristics of the economy of any country. Export plays a very important role in the development of the country as a whole and individual companies in particular. Firstly, it is profit. Secondly, it is the exchange of experience and knowledge. And, of course, it should be noted the increase in the competitiveness of products, increasing its life cycle, ensuring quality of supply and the creation of more industrial, technological and commercial potential. However, apart from this, all the familiar concepts of foreign trade, there is the concept of export from the customs point of view. So, export - is a special customs regime, acting in respect of goods exported from the territory of the country of goods without obligation to return them back. Export (export) duties for certain goods. The introduction of the export customs regime is dedicated to the second paragraph of Chapter 18 TKRF. 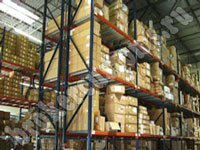 Moreover, all products are subject to export declaration and customs clearance in the usual manner, but with the current regime. Some products, so-called "dual-use goods", for example, raw materials, technologies and materials for weapons, military equipment are mandatory export controls. Lists of such goods, which are subject to export controls, approved by presidential decree. When the export of cultural goods outside the Russian Federation are required to provide a special permit, which is issued by the Federal Service for the Conservation of Cultural Property. "Association of Customs Brokers" - is a company that specializes in a wide range of services related to foreign trade activities. Counseling and legal assistance in matters of exports and imports. Our staff - real professionals, who are well aware of the customs broker's responsibility and are willing to bear this responsibility with the utmost rigor. We are sensitive to anything that is related to our work. Our company policy is provided exceptional individual approach. We value not only for its reliable and excellent reputation, but also to each client individually, and therefore, representing the interests of their wards, we seek by all possible legal means to minimize their costs. Seek professional advice and quality of service that you receive will be on a professional level!